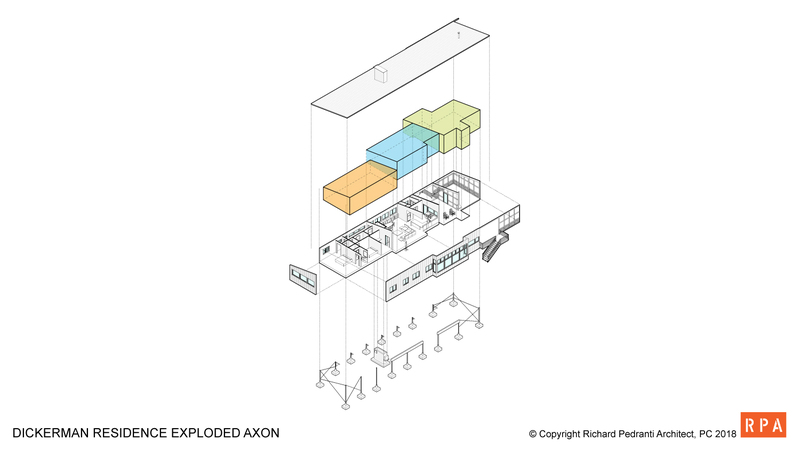 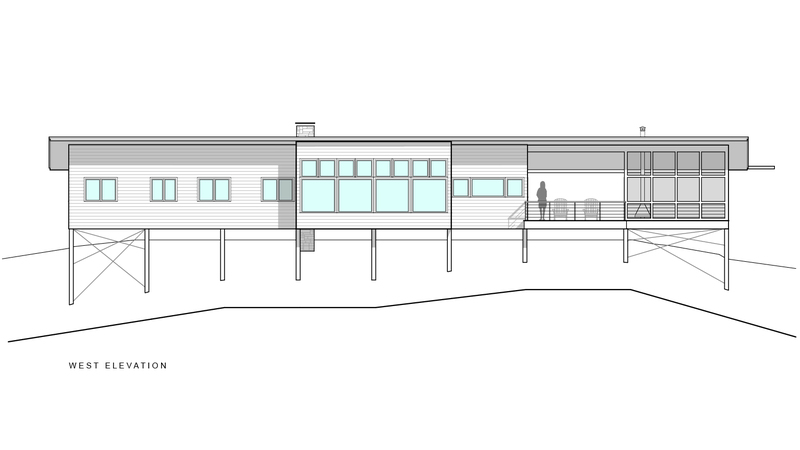 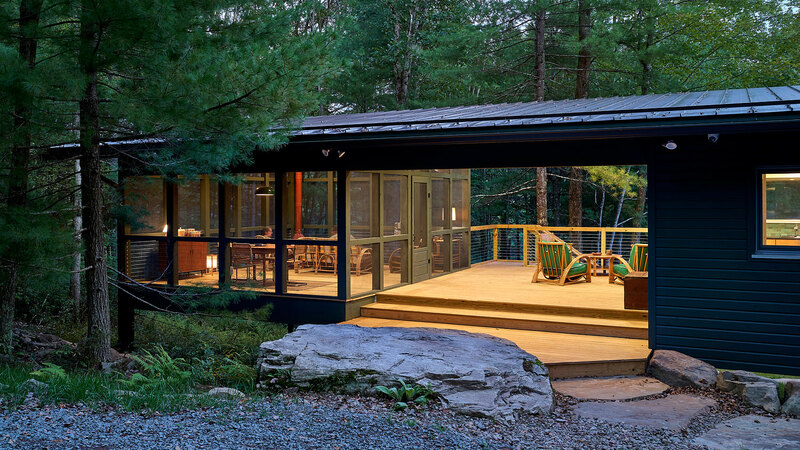 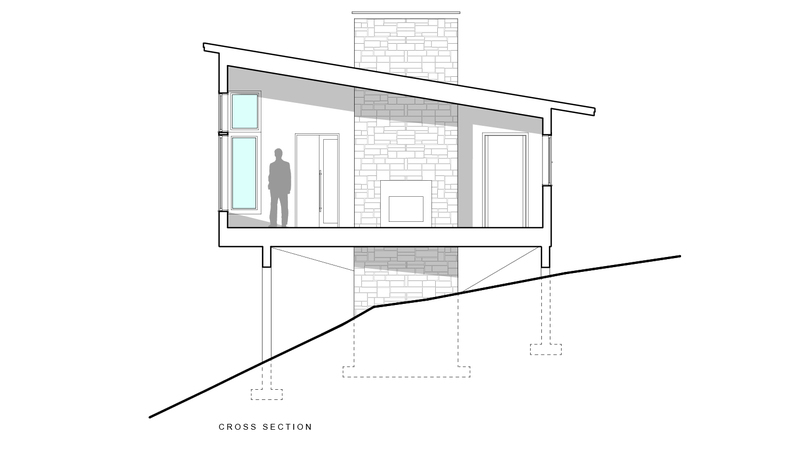 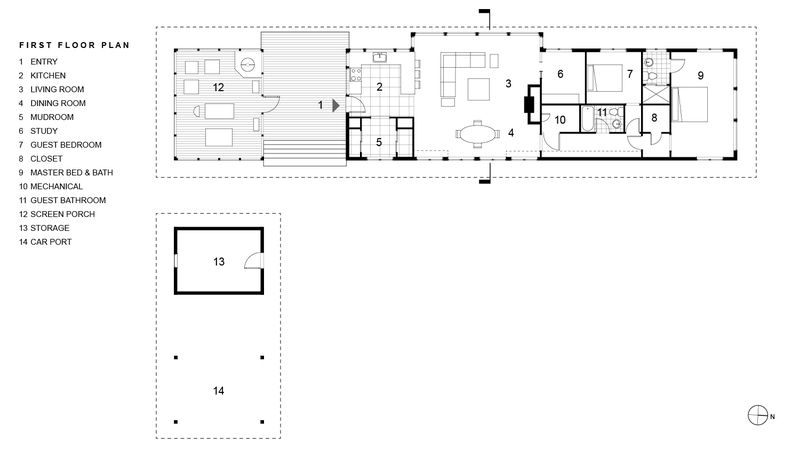 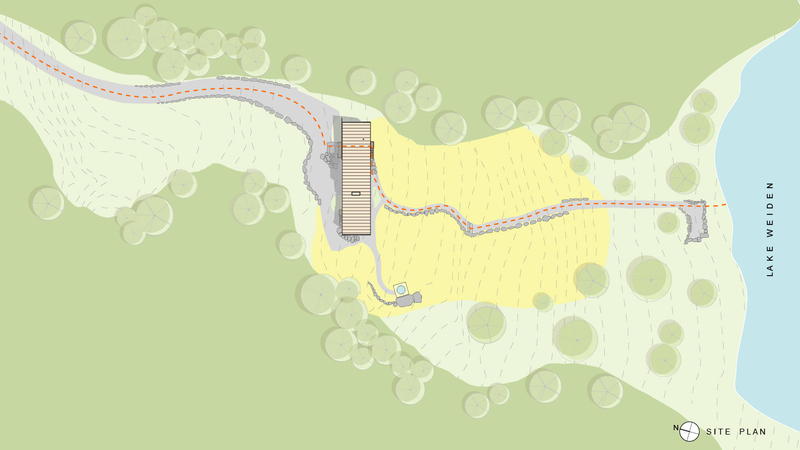 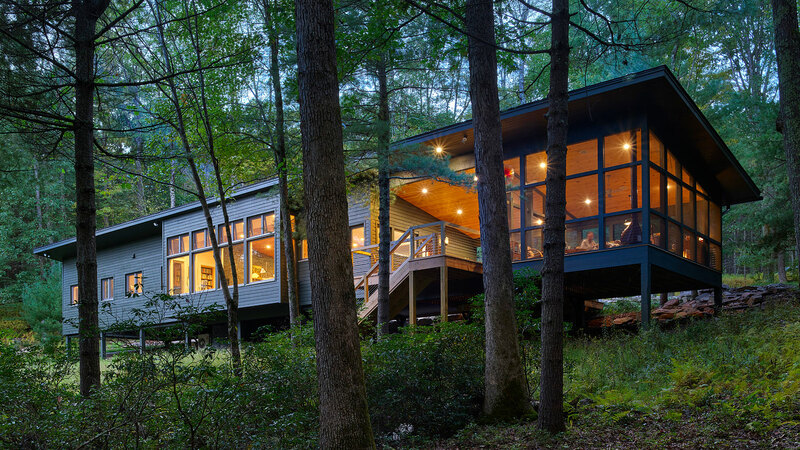 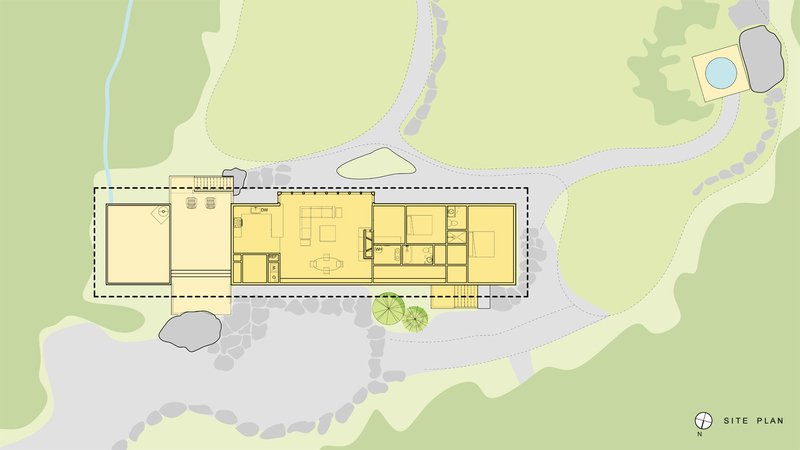 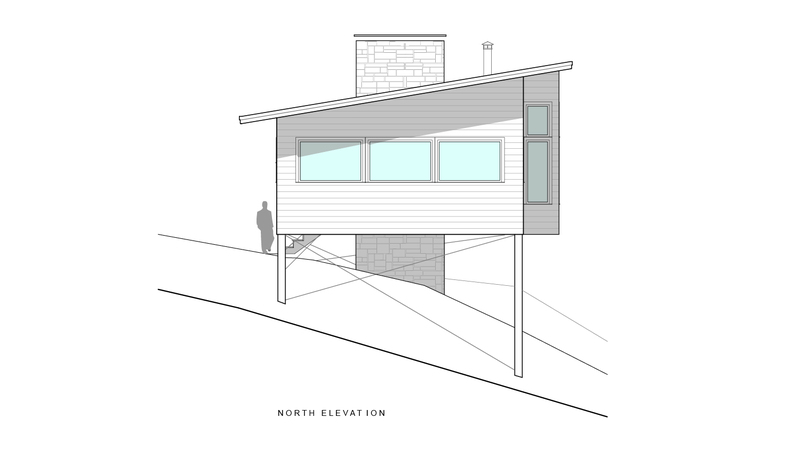 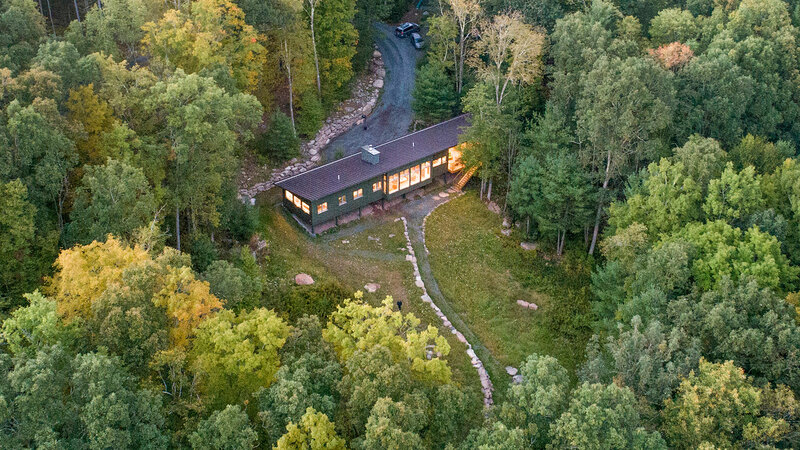 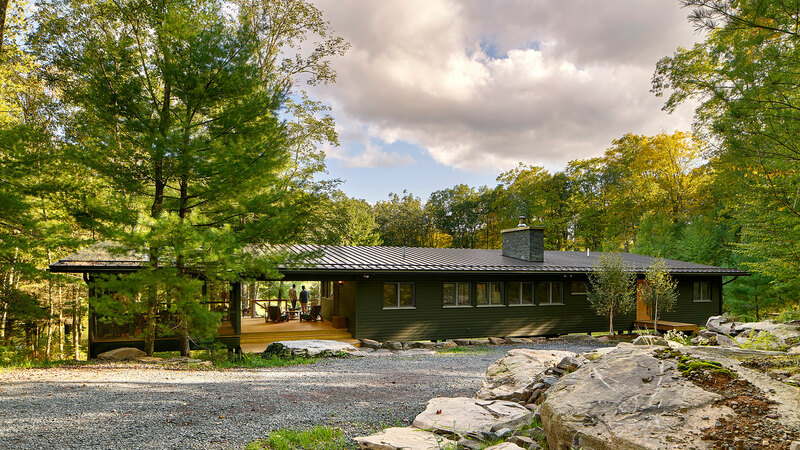 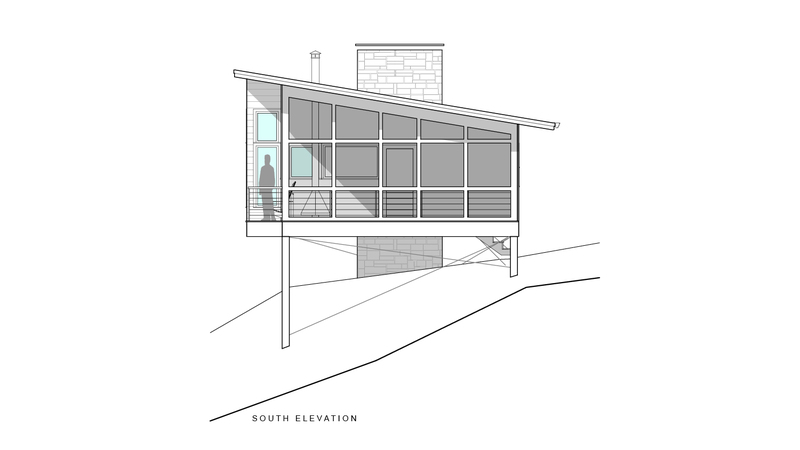 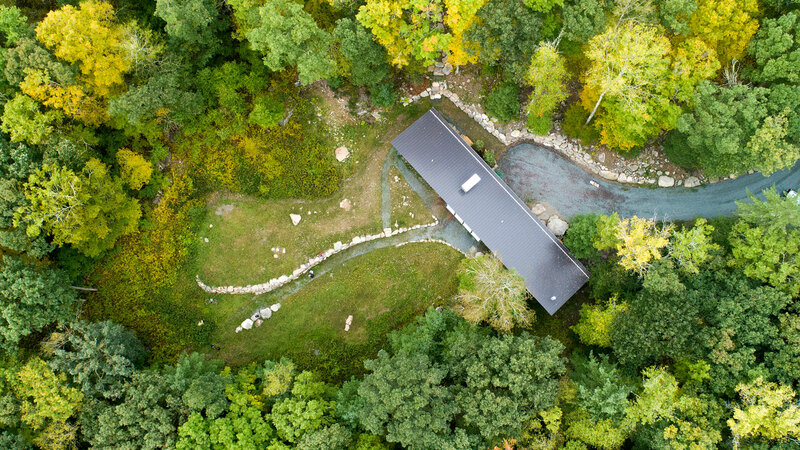 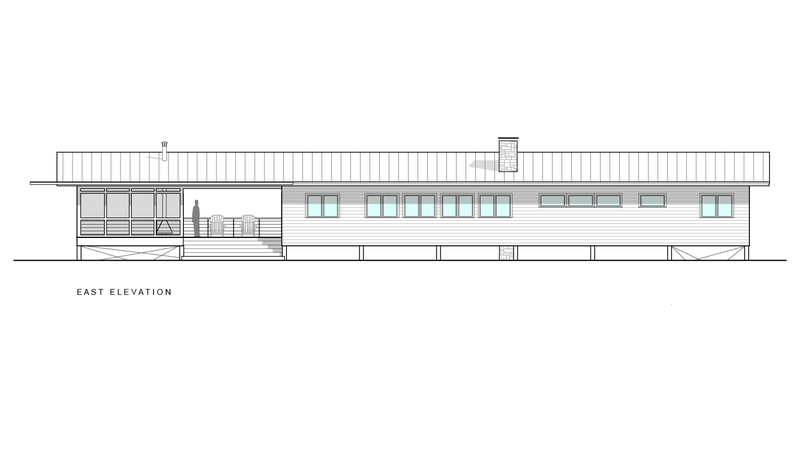 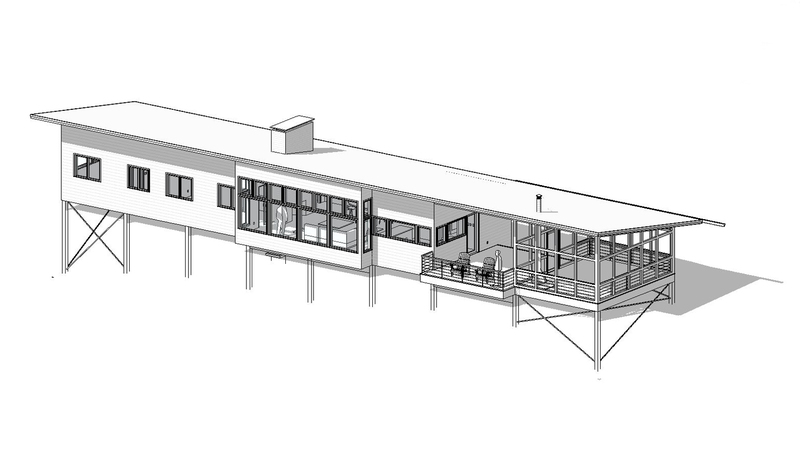 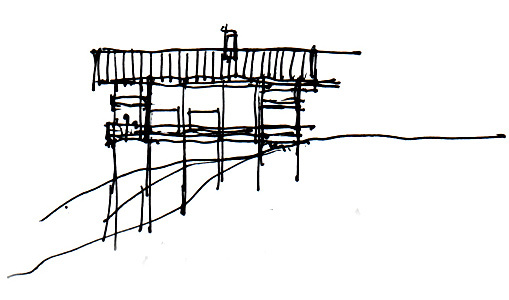 The design goal was a cost and energy efficient retreat house that settled lightly on the landscape. 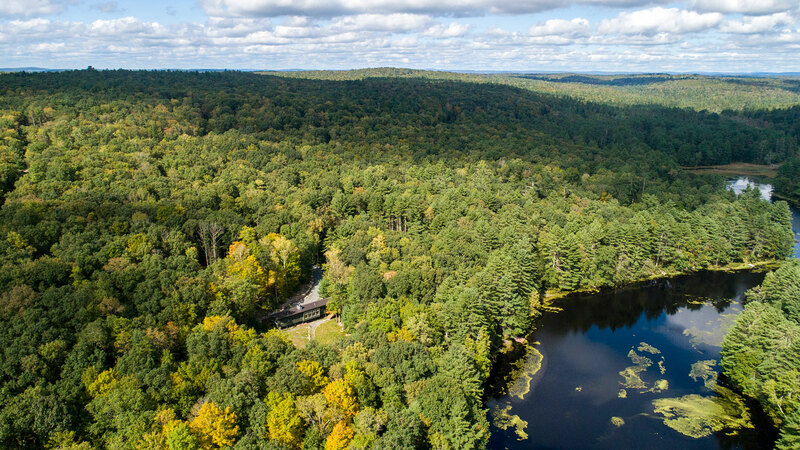 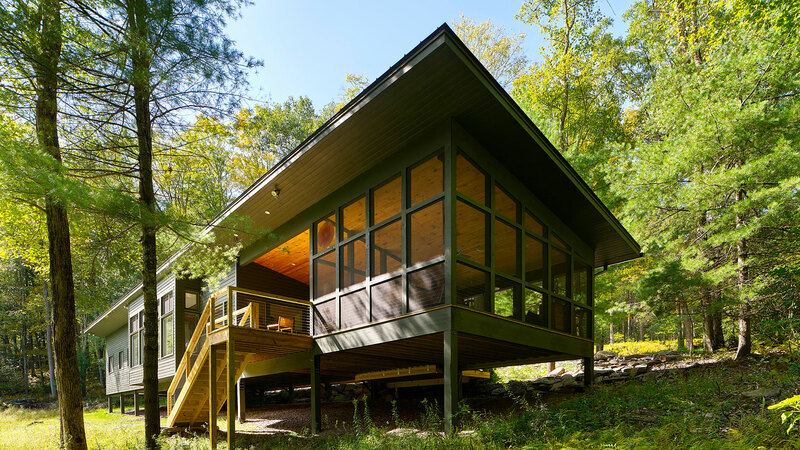 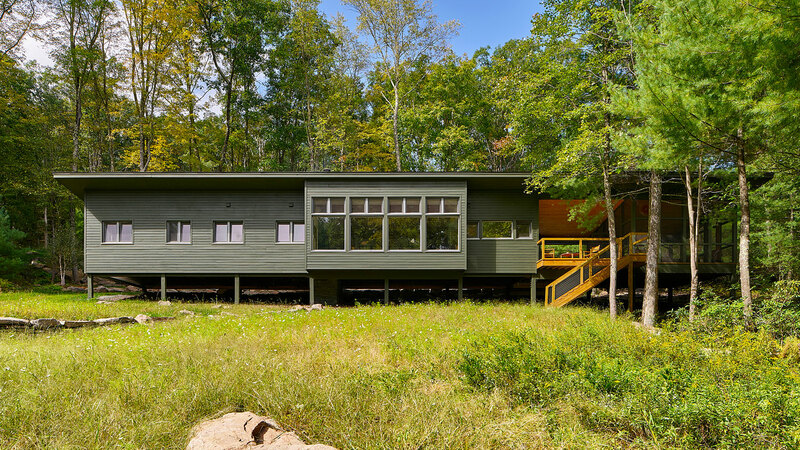 The building is on piers and has the feel of a tree house set on the edge of a wildflower meadow with views to the lake and forest. 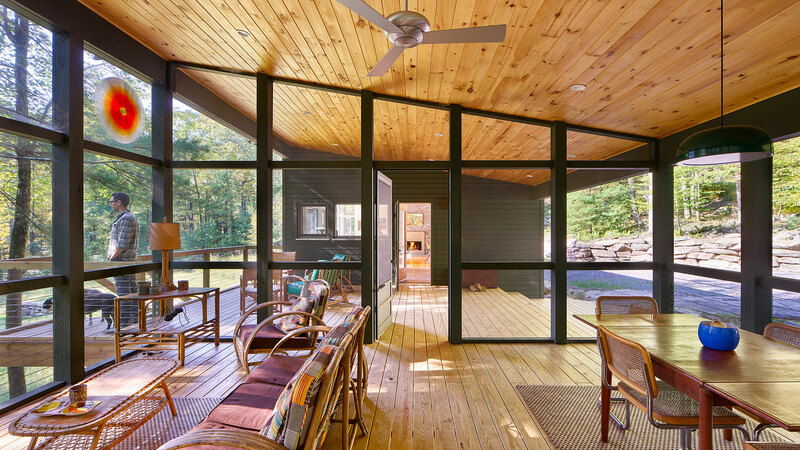 Primary features of this weekend retreat house are its simple, open form and clean aesthetic. 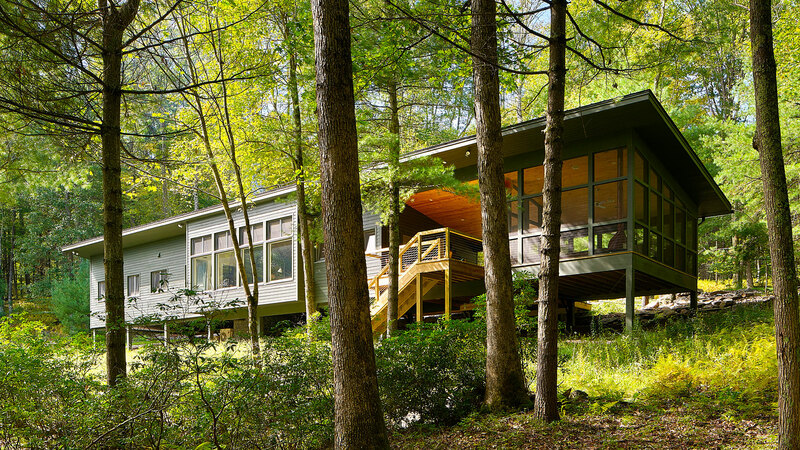 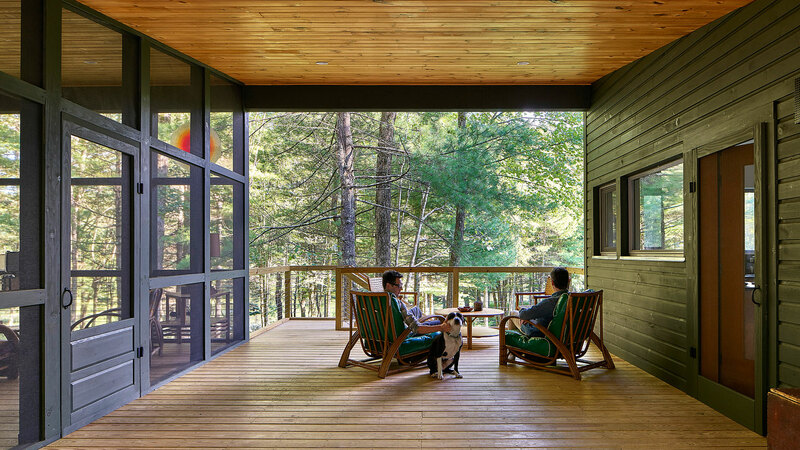 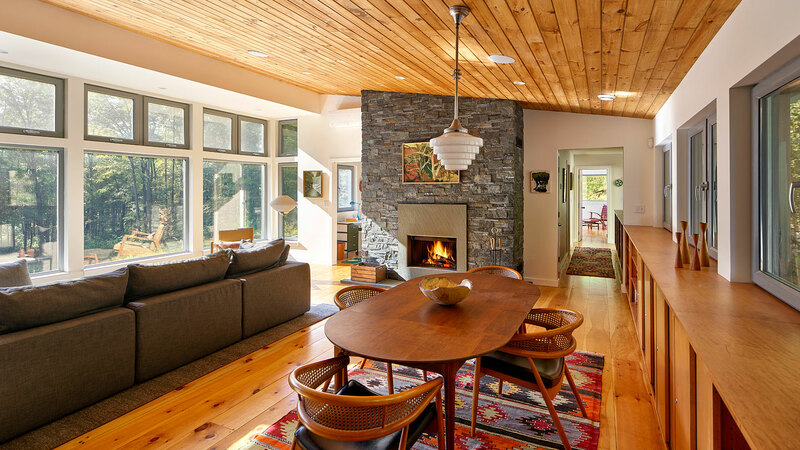 It emphasizes natural materials including a stone fireplace, Douglas Fir interior finishes, and indoor / outdoor rooms with a visual connection to the natural setting. 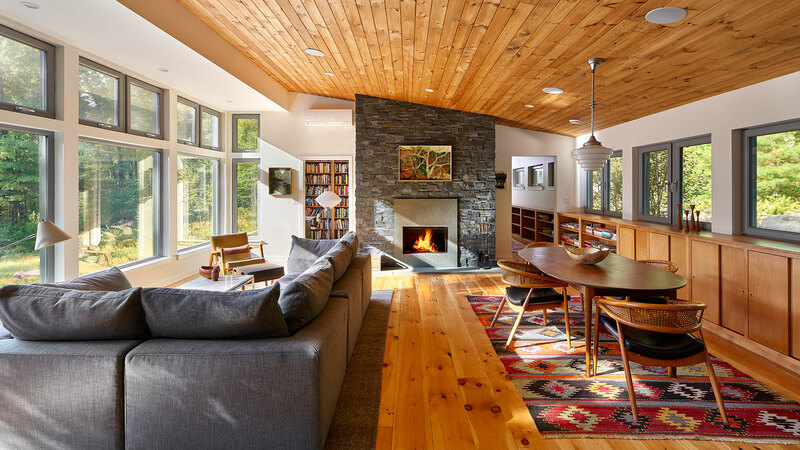 The open plan also includes private spaces and features that make it a perfect writer’s retreat.